We all are aware and exposed to the universal phenomena of technology growing at a fast pace, therefore, with so many engineered aides across every platform, it won’t be surprising to have quite a few in the arena of health and fitness. Now, even if you missed out on achieving that perfect summer body, you can still prepare yourself for the fall, with these 19 fitness devices that will help you keep track of your health and workout goals effortlessly. Given below are the best gadgets for an easy and effective workout. Visually appealing, this stylish fitness bracelet is smartly designed to keep a track of steps, calories, average distance covered and elevation. 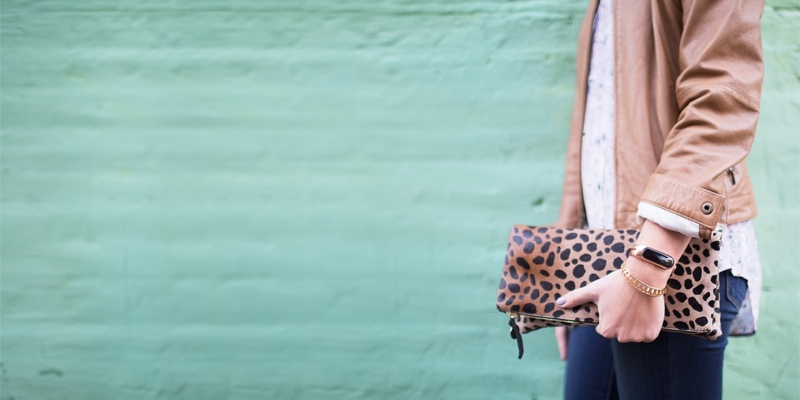 The bracelet is extremely easy to use and can be either attached to the clothing or the pocket. The fitness bracelet is water resistant and the app feature helps to sync and track the activities covered for the day. Mira System Bracelet can also be easily charged with the feature of USB compatibility. Non-charging, a swim-proof cylinder with LED display automatically records the steps, distance, calories and also keeps a track of your sleep hours. The bracelet comes in four different colours offering the buyers a number of options to choose from. The bracelet also had a added feature of vibration alerts in case of call and text. 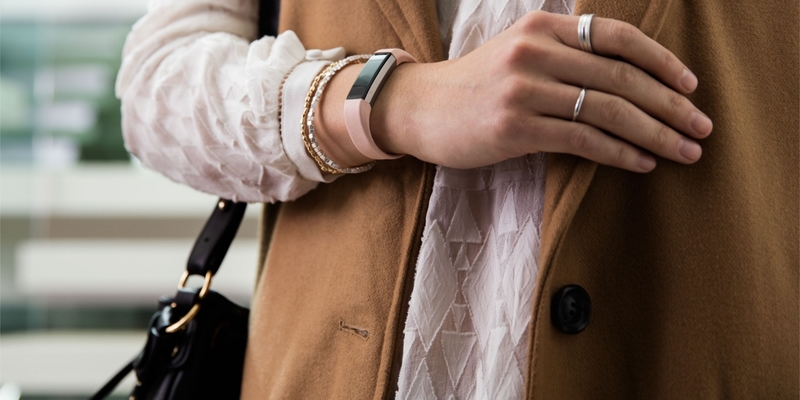 The fitness tracker reminds the wearer to keep up the physical movement. This fitness clip helps to keep a track of the total distance travelled or covered throughout the day and also records the number of steps taken, calories burnt and the quality of sleep. The device also syncs all the data wirelessly to the computer and other smartphones. Fitbit Alta Wireless Fitness Tracker is a sleek designed tracker that calculates distance, activity time, calories burned and steps taken throughout the day. The tracker with these regular features also includes a mobile app that helps to keep a track of the food intake. 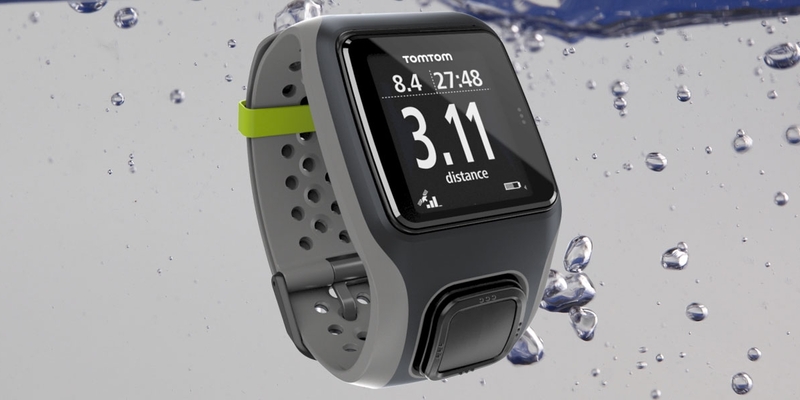 The TomTom Multisport Cardio watch with Gorilla Glass protection comes in a number of colours and high-resolution display. 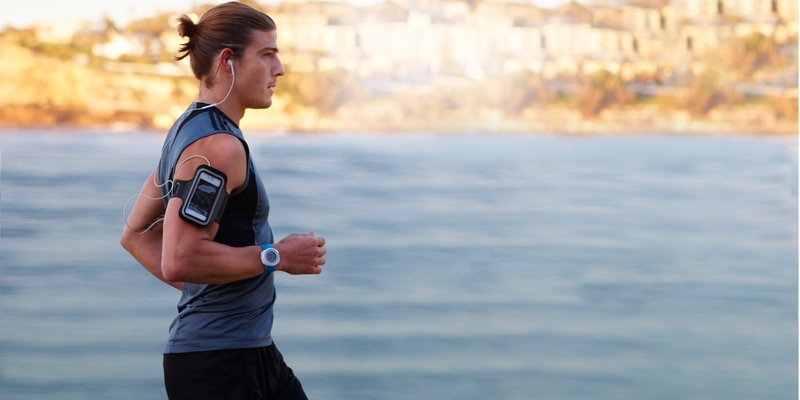 The watch also features audio and vibration cues that can be activated before your training sessions. These cues give you an alert whenever you hit the target goals in the training session or activity. Perfect for outdoor and indoor training activities, the watch also features a built-in Graphical Training Partner and quickGPSfix technology. 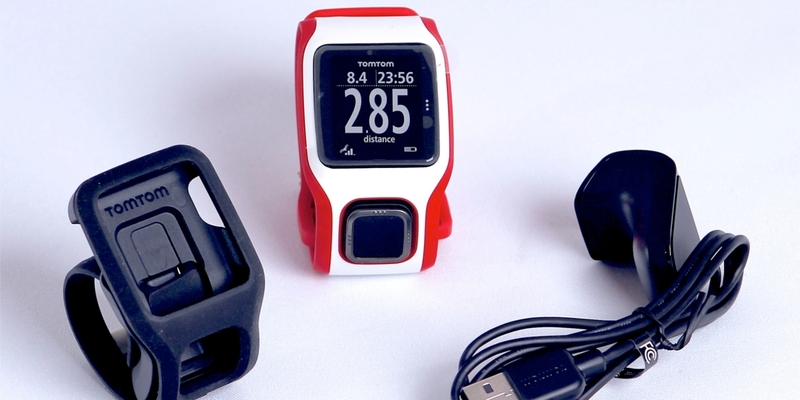 The TomTom Multisport GPS watch is a part of the company’s GPS watches and accessories range designed for athletes and other sports enthusiasts who like to participate in cycling, running and swimming sports. Updating you with important metrics of the sporting activities, the watch helps you stay motivated to achieve the set goals. The watch is waterproof up to 50 meters/ 165 feet and comes with good battery life. Presently one of the best GPS-enabled running watches, the watch is best suited to improve the personal fitness and health. Developed in a sleek, lightweight design, the watch offers high-resolution display and impressive features. 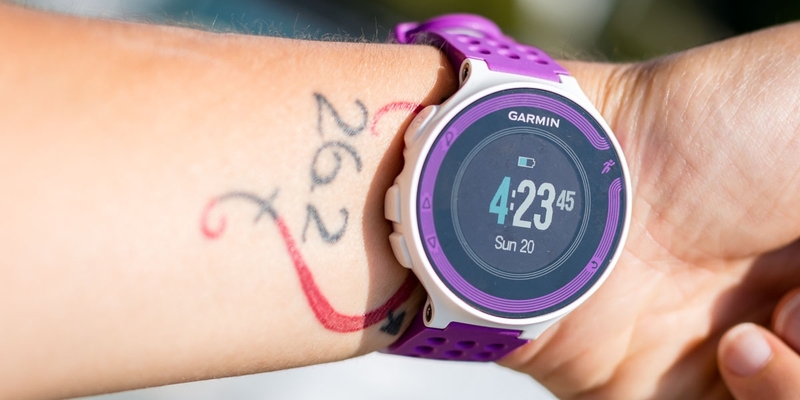 The watch helps the individual track the fitness with stats related to heart rates and pace. It automatically uploads the data to Gamin connect, when you don’t have access to a phone or computer. Through the free Gamin app, you can also track your friend’s fitness stats and keep them motivated. The Runtastic activity fitness tracker keeps a track of the daily fitness and sleeping activities. The waterproof tracker records and keeps a check on the calories burned, steps taken, and distance covered. You can track the fitness and other vitals through the wide and attractive display. The tracker is waterproof up to the depth of 300 feet. Hence, the Runtastic Orbit is one of the most appreciated trackers amongst swimmers and swimming enthusiasts. The Magellan Echo Smart Sports Watch helps to automatically sync the sports data from your smartphone with the Bluetooth smart technology. Along with monitoring your performance stats in terms of heart rate, pace, distance and yards to the green, you can also control the music and keep it in sync with the sporting mood and activity. Stylish as well as water resistant, the watch also allows safe usage while you indulge in watersports. Fitbit Zip Wireless Activity Tracker lets you keep a track of your routine exercises and connect the stats directly to the Fitbit account. You can set the daily or weekly goals using the Fitbit Zip wireless activity tracker application or its online account and keep a track on the progress with badges, graphs, and friendly competitions. The Blaze just like the regular fitness trackers keeps a check on steps, distance, calories burned, floors climbed and active minutes. The Blaze also helps to continuously monitor the pulse rate and heart rate while tied on the wrist. You can also track your route by pairing it with GPS feature. The watch sports an elegant steel frame around the display. 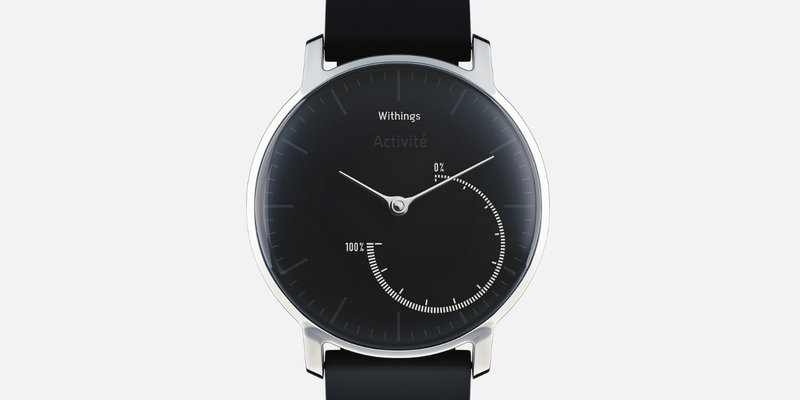 If you are looking to have a tracker that looks like a regular watch, then Withings Activite Steel is certainly the best fit. Built with stainless steel and chrome finish, the band of the tracker is available in 9 different colours. Looking stylish, the tracker can keep a record of the steps, distance, swimming, running, sleep quality and calories burned. 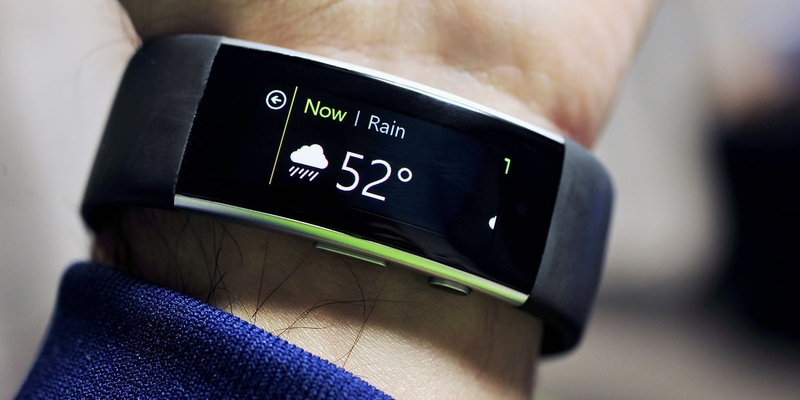 Second generation fitness bands from Microsoft, this one features a heart rate monitor, a three-axis accelerometer to measure speed, built-in microphone, GPS and a built-in skin temperature sensor. 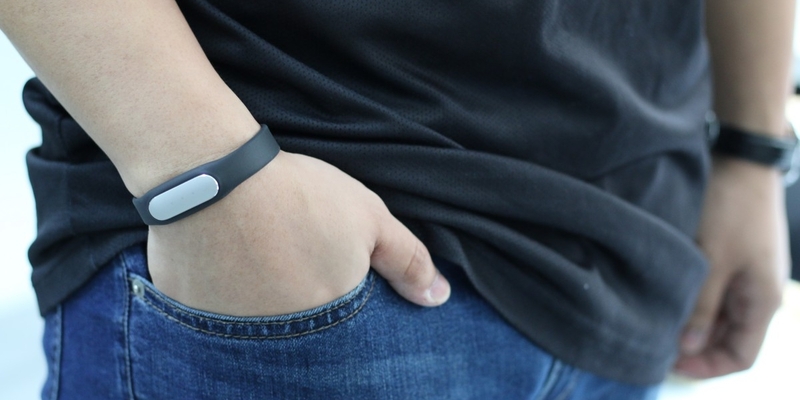 The band can not only track your running, biking, golf and other sports activities but also notify you with , text messages, calendar appointments. 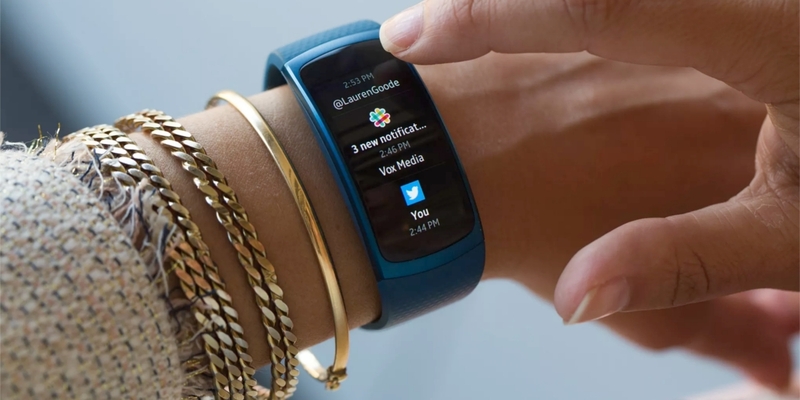 Upgrade from the previous versions, the band features a curved AMOLED touchscreen display that is available in three colours including blue, black and pink. Apart from checking the steps, calories burned, heart rate, sleep quality and much more, the band can also receive notifications which you can respond to through your phone with Bluetooth connectivity. The Fit2 just supports Android, so that can be a big drawback for iOS users. 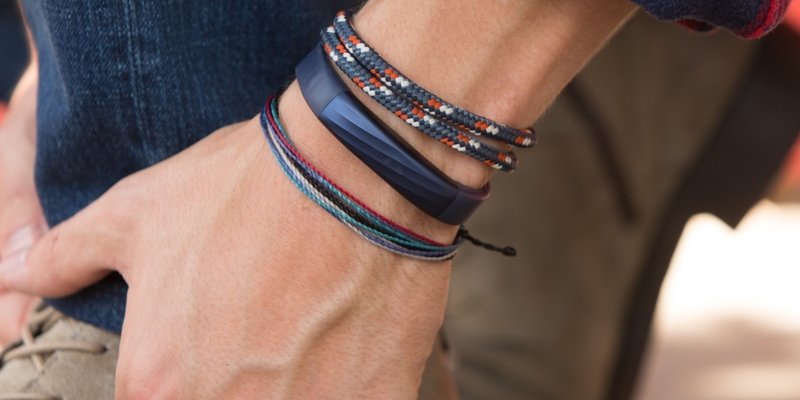 Bracelet style tracker by Jawbone is an upgrade from UP2 and UP3. The recent addition, UP4 offers the benefit of the connection to American Express Card to do Amex payments. The band helps to monitor your heart throughout the day along with measuring the entire day’s activities including steps, workouts, calories and distance covered. With the Smart Coach app, you can receive specific guidance on lifestyle and motivation. Having a sporty look, Withings Go helps to track everyday activities, calories burnt and sleep hours. Water resistant up to 50 meters, the tracker also helps you monitor the swimming distance. This particular tracker features a long battery life, which can last almost 8 months before needing replacement. 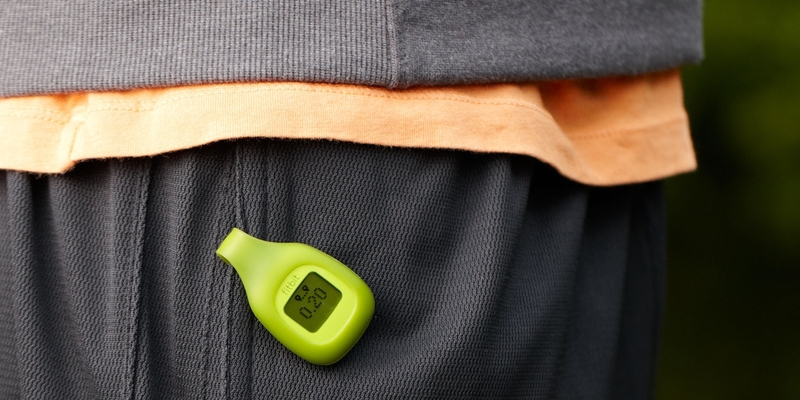 The tracker which comes in several colour options can be worn in a clip or watch band. A cheap and affordable substitute to the expensive fitness trackers. The Mi band doesn’t have a display so you would need to be dependent on a smartphone to take full advantage of all the features. The band can monitor the heart rate and comes in a number of colour options. With a 30-day battery life, it is surely pretty impressive for an affordable fitness tracker. Built with a T6 aircraft-grade aluminium, the Shine 2 is a sleek and thin tracker that can be mounted in clips, watch bands and necklaces. Water resistant up to 50 meters the tracker features 12 LED lights that double up as a clock and a notification alert for checking daily progress. 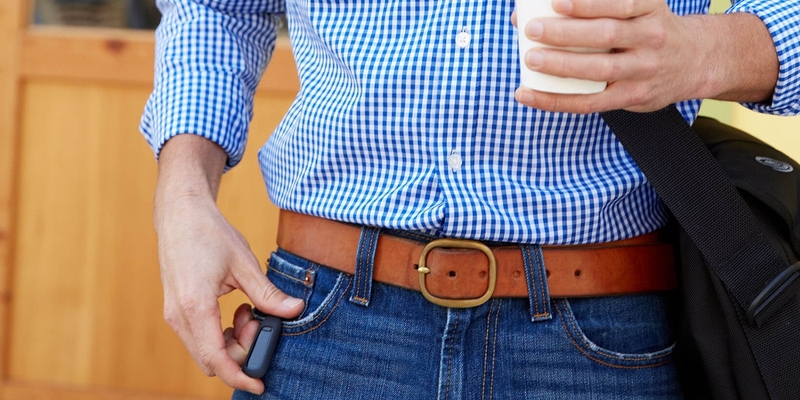 The tracker offers good battery backup lasting up to a total of 6 months. The latest addition to Vivosmart series, the HR+ features a touchscreen display, making it easy to read the everyday activity stats in sunlight. It automatically syncs with the Garmin Connect Mobile app when connected to the phone. 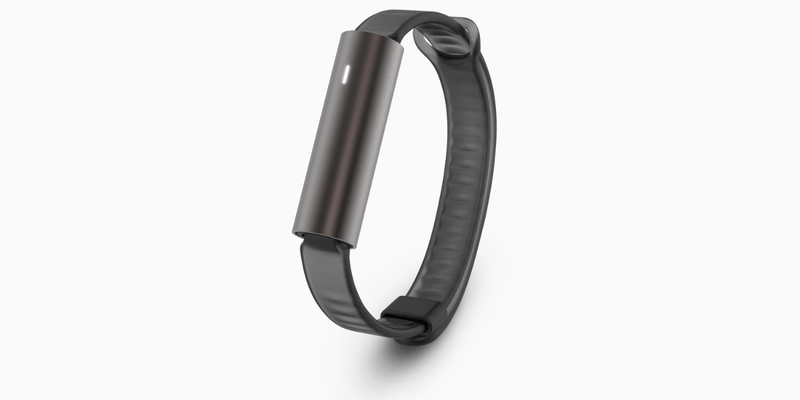 The tracker enables ease participating in challenges and receive more personal guidance right from your wrist. Pick the best-suited tracker and get ‘smart’ with your fitness routine.